I feel like I am in the midst of a travel drought and I hate it. Haven’t had a travel holiday in just over 2 months (Switzerland) and won’t be packing up for my next one for another 2 months (America). It’s driving me crazy. I feel like this is the longest travel-less stretch I’ve had since I moved to Dubai and started making efforts at seeing the world. It might not be the longest, but it feels like it, for sure. Ho-hum. Life could worse, I shouldn’t complain too much. Hands-down, my all-time favorite place I’ve had the pleasure of visiting. Thankfully, it was before that ‘Eat, Pray, Love’ dumb crap-fest made its appearance on the scene. 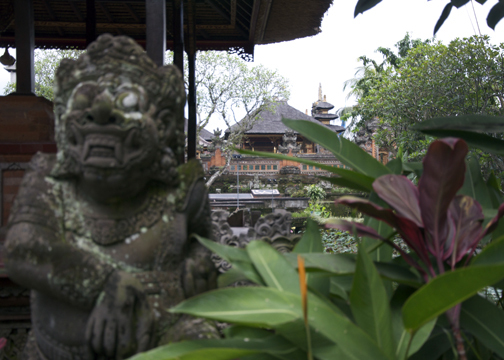 Don’t go if you’re looking for the beach; Ubud is located in the middle of the island far from the shore. It’s unbelievably lush with a hugely entertaining Sacred Monkey Forest, more Buddhist temples in the surrounding area than you can hope for, quirky shops, and for food junkies like me – an endless supply of interesting and tasty cafes. It’s a very chilled-out place all-around, however with just enough going on in the evenings to keep you entertained. On Lake Phewa and surrounded by the Annapurna mountain range of the Himalayas, this is another excellent spot to chill out. A sort of gateway to many Himalaya treks within the region (I took in the Annapurna Sanctuary trek – amazing), but the town is also full of yoga centers if that’s more your thing. There is a ‘main street’ of shops, cafes, bars and clubs, but it’s still a very laid back, lazy place. 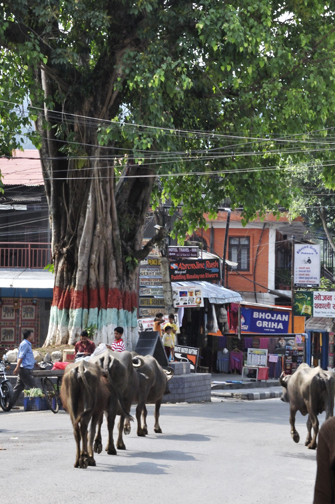 Pokhara really benefits from its location surrounded by incredibly beautiful nature and related activities. 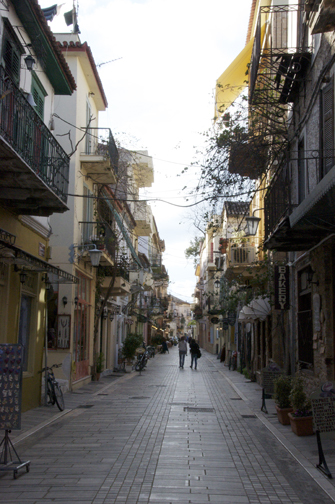 I cannot really express how amazing Nafplio is. It’s a stunning old town in its own right, but also conveniently located for easy travel to a bunch of ancient Greek sites such as Epidavros, Mycenae and Mystras. Not to mention Athens is a pretty easy train ride away. Located right on the Mediterranean with cobblestone streets and plazas in the shadow of an imposing medieval fortress, this town (originally Greece’s capital) has no shortage of nifty shops, amazing – I mean so freakin’ delicious – food and wine, and friendly, cozy guest houses (and at least one quite swank, chic hotel). And lots of cats. While Ubud remains my #1 fave spot, more than anywhere else I could actually see myself living in Nafplio.